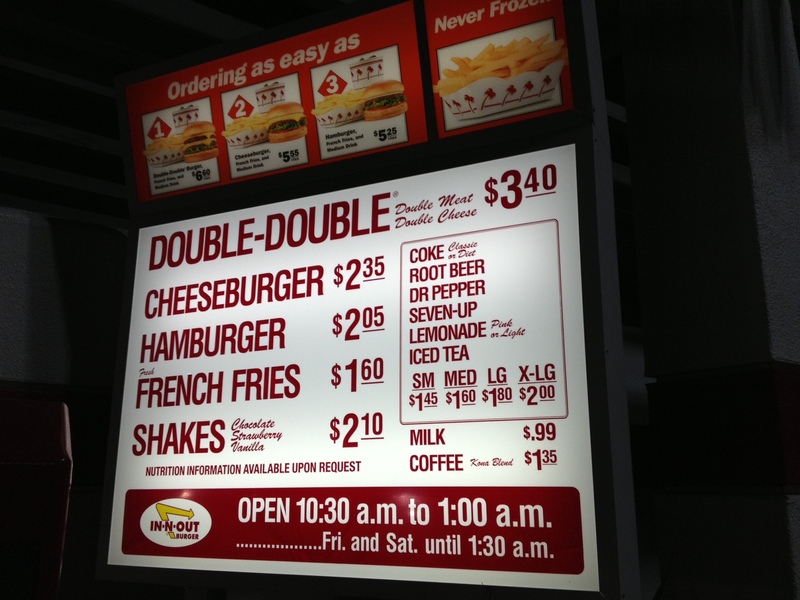 I was in California not long ago and had the chance to stop by one of my favorite fast food joints, In-N-Out Burger. What I love about this restaurant is the simplicity of its menu and business model. If you want a chicken sandwich, don’t go here. If you want a salad or onion rings or tacos, don’t go here. There’s a reason the word burger is in their name cause that’s what you’re going to get. So what is it that makes this chain of 299 restaurants a place where customer loyalty is almost a religion? Their menu is basic and uncomplicated. Double-Double cheeseburger, hamburger, French fries, shakes and soft drinks. That’s it. Because of the limited offering, the chain can focus on quality and consistency. The restaurants don’t have freezers, heat lamps or microwaves. Everything is literally made to order and you can watch it being made through a large waiting area window that looks into the kitchen. Even the French Fries are cut one potato at a time. The restaurant starts employees in California at $10.50 per hour, well over the minimum wage, as well as offering vacations and a 401K plan and as a result is rated as one of the best places to work. Employees are loyal and hundreds of people wait in line to fill out applications whenever a new location opens. This burger mecca must be special because they have an online store where you can order all sorts of products with the In-N-Out branding. T-shirt anyone? For me I’m at a point where I want my life to be simpler. I know, simple life is an oxymoron given the complexity of everything we contend with on a daily basis. But the success of In-N-Out Burger with such a seemingly simple menu means as companies and in our personal lives we don’t need to be all things to all people. We can make a very nice living and lead a satisfying life by getting down to the basics, keeping it simple and focusing our energies on our core strengths. As David Myers, chef of Los Angeles French Brasserie Comme Ca says, “It’s fast, it’s hot, there are code words — what’s not to enjoy?” I’ll have a Protein Style with Animal Fries and a Tea-Ade to go. Don’t you just love secret codes?